Back to school time is coming and we have some great school supplies available here to win, including not one but two computers, to go along with six backpacks full of supplies. We're open to residents of both the US and Canada so don't miss out entering if you have or know some kids who could use the supplies. Enter through the end of the month, so not too long open. Good luck. 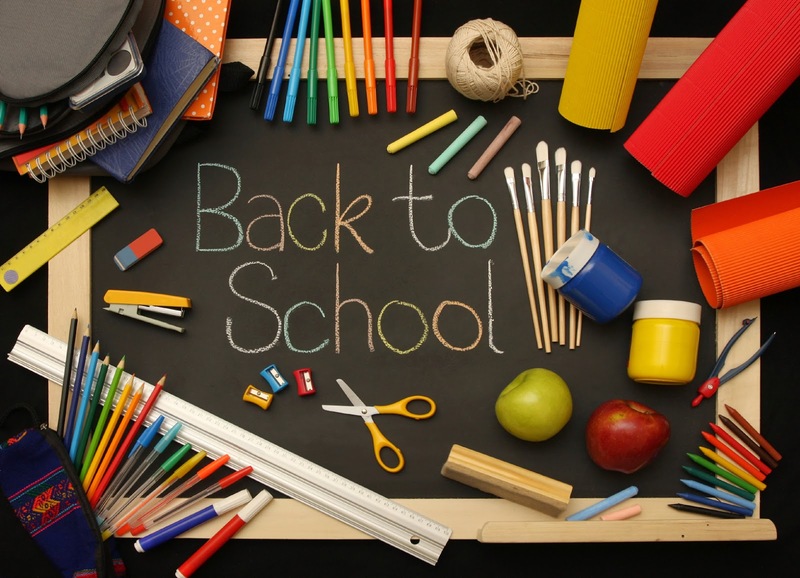 Welcome to the 2014 Back to School Giveaway Event! This event is sponsored by Just Ideas with Venus Kem and Our World Travel with help from the participating bloggers! This event is hosted by Dixieland Mom Product & Travel Reviews and co-hosted by Mom to Grandma, Mom 'N Daughter Savings, Java John Z, Imperfect Women & Swanky Point of View. This event is open to both the US and Canada. We will have a total of EIGHT (8) winners. AND....a $100 Visa Gift Card to purchase school supplies or clothes! Approximate Retail Value of EACH Backpack is $195.00!! 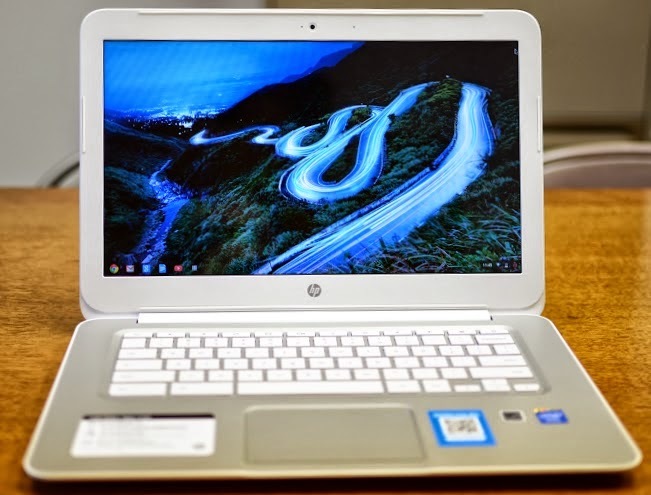 We will also have TWO (2) Winners that will get a grand prize of a brand new HP CHROMEBOOK14 the new 14" Chromebook with 4G for Life and an approximate retail value of $349 Each!! Terms & Conditions: Must be 18+ to enter and a resident of the US or Canada. Contest opens on July 25th at 11:59 pm and will close on July 31st, 2014 at 11:59 pm all times are eastern standard time. Void where prohibited by law. Not associated with Facebook or any other social media platform. Entries will be verified. Winner will be notified via email on or before August 1st, 2014 and will have 24 hours to respond. If no response is received, winner forfeits prize and a new winner will be chosen. Not responsible for misdirected emails or emails that land in your spam folder, add marie@dixielandsdeals.com to your safe list to ensure the winning email does not go to spam. Winner will be announced once all winners have responded to their email and a winners list can be found here. My kid is older now, so my favorite part is having my days to myself again. Not that I want to get rid of her, but the more time we spend together, the more money she wants to spend! Getting new clothes and supplies. I will finally be able to go back to work. I'm looking forward to getting a lot more done around the house during school days. I look forward to the kids getting back into their sports and going to see them play. I really enjoy this. What do I look forward to? A clean classroom set up with lots of love for a new group of students! Makes my heart happy each time! I love all the back-to-school sales. Not only can I get school supplies for cheap, I can stock up on office supplies for the next year for cheap. Am I the only one who loves to have my kids home....We have a great time together! It is quiet for a few hours. But the other is the clean crisp newness of the "year"
I love the excitement of the start of the sports and marching band seasons and getting to meet the new friends the kids make in school and after-school activities! I love taking my daughter school shopping. She is so fun. She loves clothes and supplies. It's a blast and we make a special day of it with pedicures and lunch too. Honestly my favorite thing is getting the kids back into a routine. Most of the kids are ready to go back, mainly because they are wanting a change. They love to get the new clothes, new supplies, but the mothers are also needing a break. Gee, that's a hard question. I hate back to school. I guess maybe the savings on school supplies, especially at staples. I am responsible for my younger brother, this year he is a senior in highschool! Every year I take him back to school shopping, we enjoy picking things out and shopping for some clothes. This is a special year because it will be the last year I get to do it with him and we are planning to make it a whole day dedicated to him, shopping maybe a movie and lunch (plus I love shopping) It will be fun!! Help kids with homework, seriously. Especially things like art and science projects. I love that my daughter is engaged and excited about learning new things. I love watching my kids play school sports and sing in the choir that is my favorite part of back to school. My favorite thing is finding out my new students!! Free tax day, getting school supplies. i love being able to get a break and relax!! Seeing all the little kindergarteners feeling so big on the first day. Well, I am returning to college this year and I am excited to have that kind of structure back in my days! My favorite thing is getting the "first day" outfits ready! I remember how excited I was all through school, and it's fun to see my kids trying on their new clothes and getting excited as well! My favorite thing about back to school is shopping for school clothes for my nieces. My favorite thing about back to school is being able to keep my house clean again. I would have to say getting back on a schedule. We have no schedule what so ever during the summer and it makes things a little harder. Thank you! My favorite thing about back to school is stocking up on writing materials like paper and cool pens. My favorite thing about back to school nowadays is knowing my kid has somewhere to go each day to be with friends (only child) and learn something instead of being home all day and watching tv or playing video games. I enjoy my son starting a new year and he hasn't had time yet to get tired of going to school. This year he will be in 8th grade. Last year he was on honor roll all year long and I hope he does as well this year too. Picking out new supplies and just getting ready for a new year. I love that my sons are excited to see friends! I love being able to attend the school events. The excitement of seeing old friends and meeting new ones. Also new clothes! I like that we get back to a routine. One thing nice is having more "me time"
My favorite thing about back to school is the new friends you can meet. My favorite thing is shopping for school supplies and donating them to my teacher friends' classrooms. My favorite thing about back to school is not having my kids ask "what are we doing today?" Shopping for new clothes and shoes! I love picking out backpacks for my kids with favorite colors and getting their personalities in it. My favorite used to be purchasing new clothes. My daughters love the back to school clothes shopping. A quite house during the day. i love school supply shopping. new folders are exciting! I am a lifetime learner and I love being back in college. I love learning. I always hate to see my children go back to school but I love seeing the excitement on their faces as school starts back and am so glad that they love school. I always liked being back with my friends after summer! My favorite thing about back to school is that my son gets to socialize and expend his energy! My youngest has learning disabilities and most of his classmates don't live close. I'm happy about school starting because he gets to reconnect with his friends and possibly make new ones. Both of my boys enjoy going to school and I'm extremely grateful they enjoy their schools. I love to see be excited to go to school. You can just see it on their faces! My favorite thing is getting new clothes!! I always liked picking out new folders and binders. I love the smiles on my kids' faces when they head out to meet their teachers! I like the free time to myself while they are at school. MY favorite thing about back to school is stocking up on goodies for lunches and school supplies. As a Mom of four School aged kids, I enjoy having the peace and quiet! i will enjoy my son not sayin to me im bored ! The excitement on my Grandsons face when he gets to go back, he loves school. Going supply shopping is fun. I like having more spare time! My favorite thing about back to school is I get to go back too. I love teaching and always look forward to a new classroom of children. We live very close to a school and the playground is withing ear shot. I love hearing the children's laughter ring over the hill. There is nothing sweeter that the sound of children laughing and being kids. I like that the kids are ready to go back to school. We all had a good time this summer. They love to go and shop for school supplies and lunch bags and backpacks, and also shoes. It is very exciting for them! I like seeing the kiddos come home proud of their work at school. Favorite thing is getting back on schedule. Thanks for the giveaway…my favorite thing about BTS was picking out new pens & notebooks, and getting new shoes & sneakers. Shopping for school supplies and new clothes. 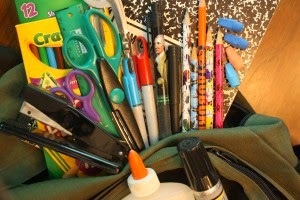 School supply shopping & fall is just around the corner! My favorite thing about my children going back to school is hearing about the new things they learned. I like finding awesome deals for my classroom! I enjoy having more quiet time in my house when my son goes back to school.